eBay Item Returned Damaged? Here's What You Should Do. 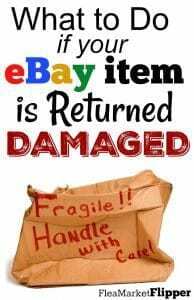 One big concern many resellers or potential resellers have is getting an eBay item returned damaged from a customer or be a different item then they originally shipped. 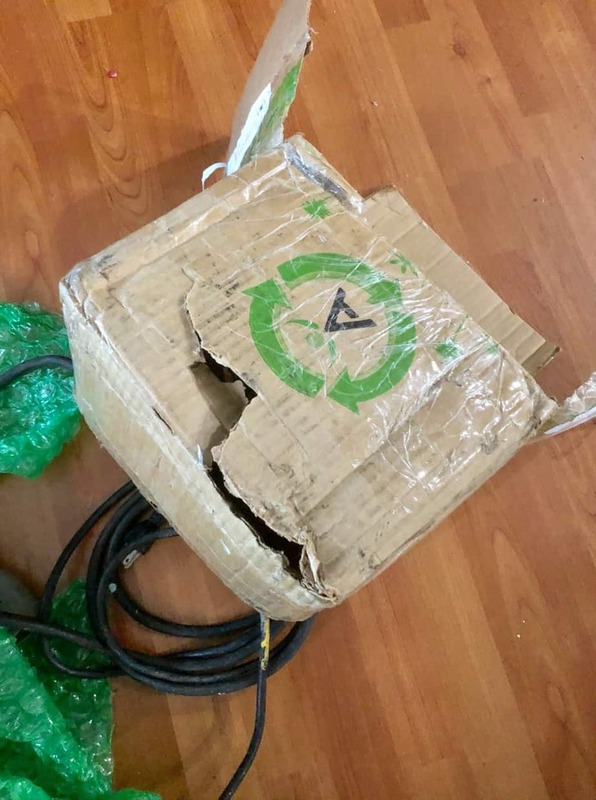 Unfortunately some people do try to scam the system and send back their damaged items, but if the item is returned to you in a different condition then you sent it, you don't have to worry. You shouldn't have problems getting back the money that the item is worth. A similar issue happened to us recently. Only in our case the buyer didn't pull a switch-a-roo. He returned the item because it didn't work when he received it. (Valid reason for a return, and I thought it worked when I sent it out). When I received the item back it was in all sorts of rough shape. He had put the charger back in the box without the proper padding and it was definitely tossed around and bent in on several sides. And there was damage on almost every side of the charger. Look at the metal bent in! We called eBay (BIG KEY! Use the phone over e-mailing when you want a response), and told them the situation. They told us that since the item was returned damaged and not in the condition we sent it that they would chargeback the cost of the item. So CALL eBay when something like this happens. And keep calling back if needed! I wasn't even expecting them to put the money back in my account right then. I was calling them to see what my options were. 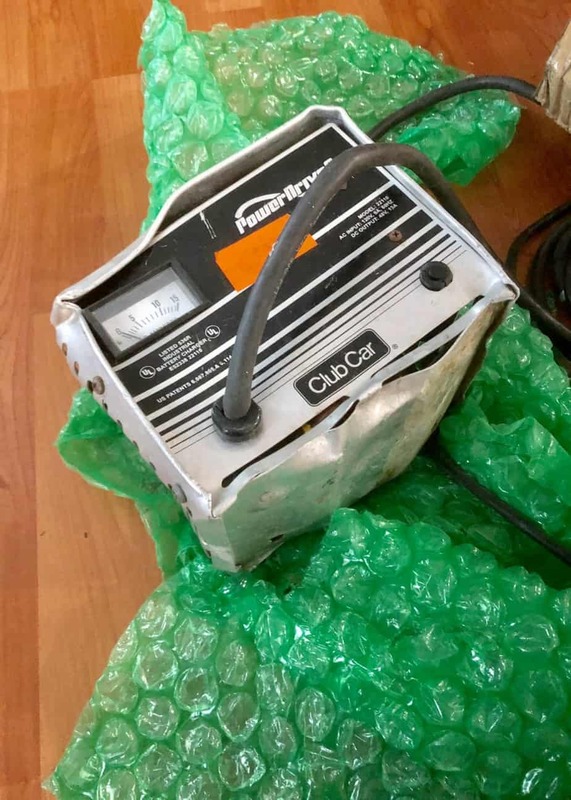 Since the item was damaged in shipping, it's now the buyers responsibility to call the shipping company and get his money back from shipping insurance. Since he didn't package it properly, he may not be able to collect the insurance. Another big tip – always use the proper packaging! Hopefully he will be able to. I sent him an e-mail stating to let me know if the shipping company needed to pick up the item for inspection so I could leave it on the porch. 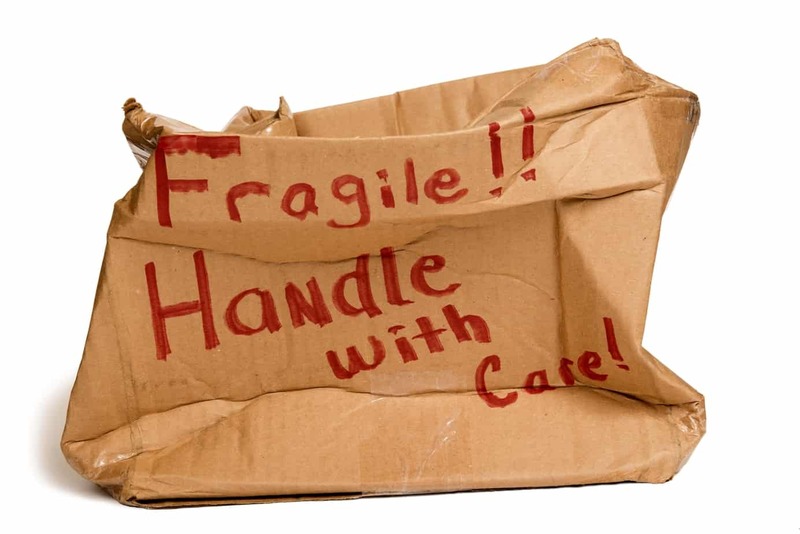 If it's a non fragile item filling the box so their is no air bewtwen the item and the box is sufficient. If it's a fragile item, use a double box with 2″ of padding or fill in the first box and 3″ of padding or fill between the two boxes. Does someone pulling a switch on you or having an eBay item returned damaged make you nervous to sell on eBay? Don't let it! Fear of what could happen could be keeping you from making the income you deserve to make. And if it does happen (this is the first one for us in years! ), know that eBay should have your back. Does eBay intimidate you? Grab our Beginner's Guide to Selling on eBay to help you get started the right way. New to the whole flipping/reselling process? Jump into our 5-day e-mail intro course to see if this could be something for you. This will also add you to our flea market flips and eBay tips newsletter that we send out 1-2x most weeks. You can unsubscribe anytime. 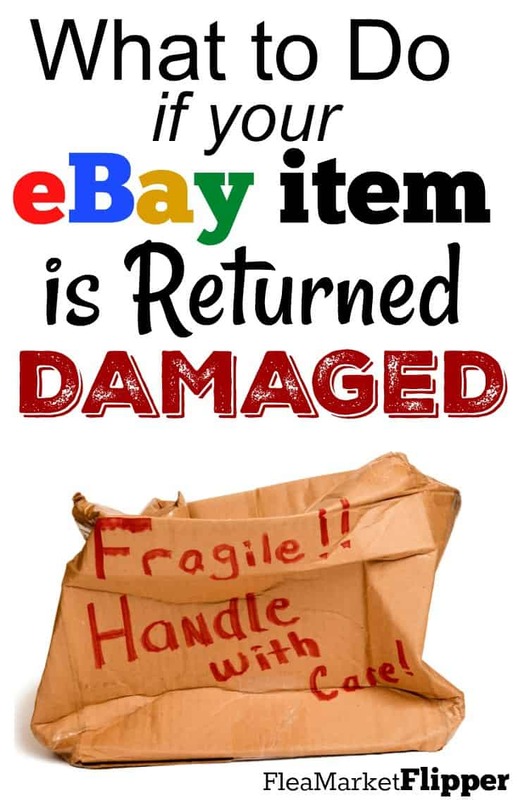 Have you had an eBay item returned damaged? Comment below and let us know what happened and how you resolved it. “but you lost all creditability with this overly simplistic and frankly unbelievable article.” What??? I don’t think they really read this post. It was very obvious that you guys were shocked that Ebay took care of the situation that easily. To say that you “lost all creditability” (credibility) is way “overly simplistic” and a “frankly unbelievable” statement!!!! Love seeing what you guys find…Very cool find on the stilts! Thanks for all you do. Thank you Jen. We appreciate the feedback. We hope that we didn’t portray eBay as being perfect all the time for every transaction. But for this specific one, they were quick to remedy the problem. The stilts were a pretty great find! and a fun one too. Our kids especially had a great time with that one. I’ve been following you for a while and really enjoy your articles and videos, but you lost all creditability with this overly simplistic and frankly unbelievable article. I sell on many platforms, and have been selling on ebay for over 15 years. Each year they make it more and more difficult for sellers, especially dealing with problem returns. You must have gotten just the right customer service rep at just the right time to have had no problems. For the last several years, more often than not, ebay will side with the buyer, even when the buyer has admitted they broke the object in an email or there is photographic proof that the item wasn’t returned in the same condition as it was sold. I’ve had this happen and the ebay help boards are full of examples of this. You would have done a greater service to your followers if you had taught them how to deal with a problematic return in a professional way. There is a reason why thousands of honest, experienced long-time sellers are leaving ebay and selling on other platforms. Hi Lyn, I am sorry you feel this way. We are only stating what happened to us- sorry if that is unbelievable. I was indeed shocked that in was the first call this was resolved. We’ve stated many times throughout our blog that we usually call 2-3 times before we get something resolved. We agree over the years that eBay has favored the buyer, but the past few times we have dealt with them they have been easier to favor us. How many times do you call eBay if there is a problem? In the past we may have called 5-7 times! And I can’t recall a time that we have lost money on an item and a case. There may have easily been one years ago that I don’t remember, but for the most part we work hard to make sure we don’t. eBay is not perfect by any means, and there may be other platforms that take it’s spot over in the future. We are ready if that happens, but in the meantime we continue to sell on the platform that makes us the most of our income.